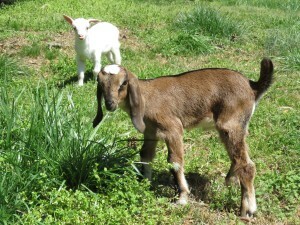 Fox Trot Farm is located in the rolling hills of Lancaster County, South Carolina. 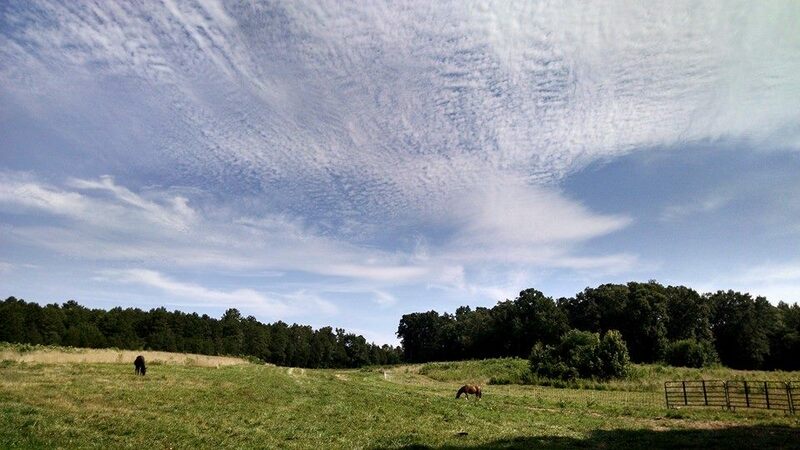 Our 47 beautiful acres are crossed by streams and studded with ponds. Forested acres border lush, green pastures. 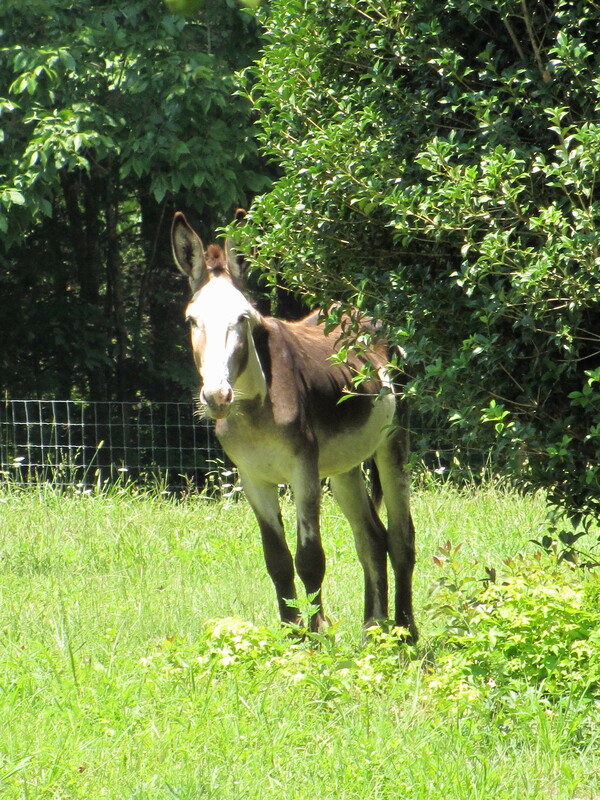 We have been a farm since 1985, raising a variety of animals throughout the years. Sheep: We raise Dorper/Katahdin cross sheep on our farm. They are a breed of meat sheep known as “hair sheep” due to their ability to shed their coats in the spring and summer. Their meat is lean, mild, and tender. We currently maintain a breeding flock of an average of 30 or so ewes and three rams. Once lambing is underway, the flock numbers grow exponentially…each ewe usually gives birth to twins or triplets. Lambs are processed when they are 80-130 pounds and less than a year old. Ewe lambs are often kept here on the farm to enrich our flock. 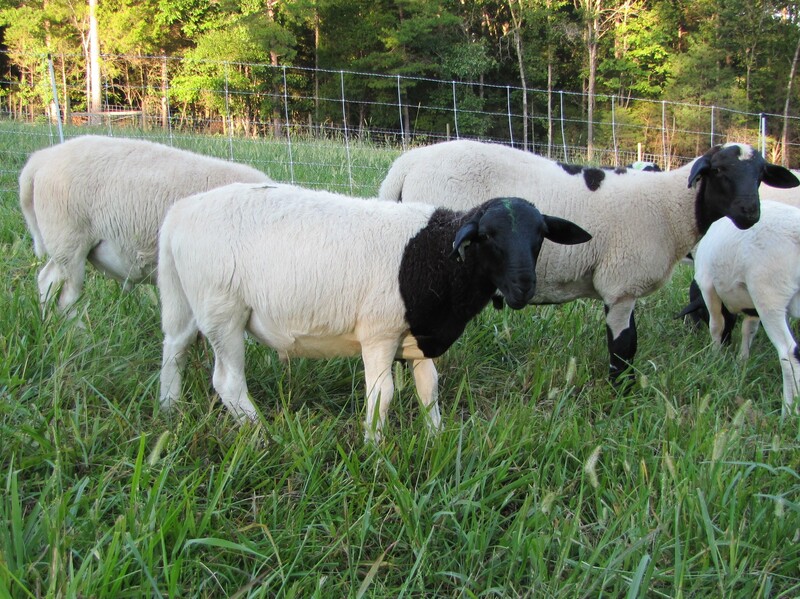 We do not sell sheep for breeding or whole animals for slaughter on our farm or by any processor other than our selected certified humane and USDA inspected facility. 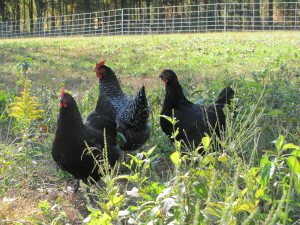 Chickens: We maintain a large flock of laying hens to sell colorful blue and brown eggs to the public. 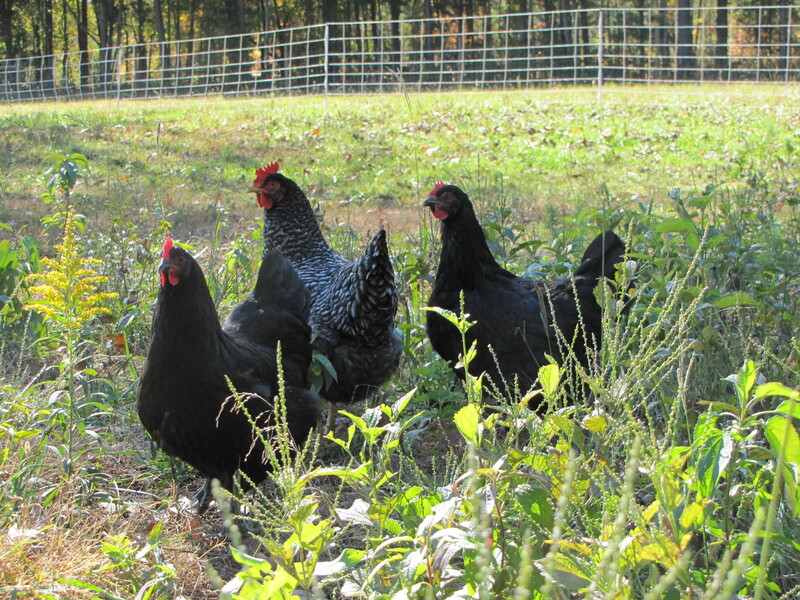 Our chickens are large, healthy representatives of several colorful breeds, and they enjoy the sunshine and fresh air while they forage in a large open area in the pasture. We collect baskets of eggs once daily and wash them thoroughly before refrigerating them. Safe handling ensures that our customers have excellent quality eggs. Honeybees: Our apiary here on the farm averages 10 hives. 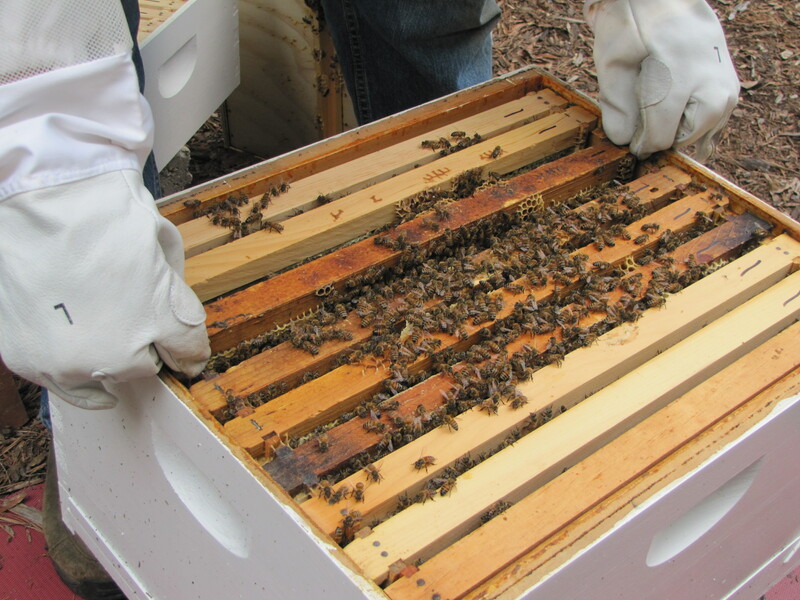 We harvest honey in June and melt the extra beeswax for use in our soaps. Honey is for sale as available. Livestock Guardian Dogs: We have two breeds of these big dogs: two Anatolian Shepherds and one Maremma. They are bonded to their sheep and protect them from coyotes, feral dogs, and even hawks, owls, and bald eagles, which prey on young lambs. Historic Log Cabin: Visitors will be interested to see the historic 18th century log cabin on our farm. It is original to this area and was built by the first landowner of this property. Tours: Young and old alike enjoy touring our farm. 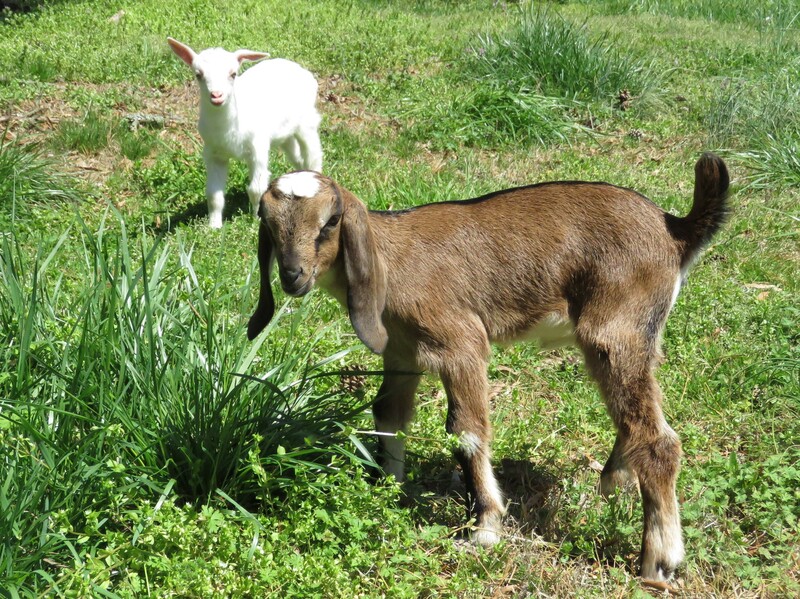 Each farm tour takes about 1 ½ hours as we guide visitors on easy walking trails and teach them about our farm practices and the breeds of animals we have. Tours begin with lambs to pet, and continue across the pond dam, where our Welsh Harlequin ducks can be seen enjoying the water. 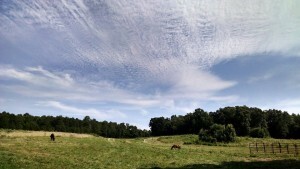 We continue up the trail past the pasture containing Clarence the donkey and Peanut Butter the pony, and across the wooden foot bridge to the Back Forty to see our flocks of breeding ewes, rams, and their guardian dogs. Heading back, we visit the chickens and everyone can pick up eggs right from our hen house. We finish with a visit to the dairy goats and a brief visit to the apiary to talk about honeybees, and then stop in at our hand washing station. Back at the house, visitors can shop for farm products while everyone enjoys colorful honey sticks. Tours are $5 for each person older than 2 years. We have a public restroom and bottled water is available to purchase. Tours are on Sundays at 2:00 and by appointment Tuesday through Saturday for groups of a minimum of 10 people over 2 years of age. Farm Market: Packaged lamb cuts are for sale until sold out. We have the meat processed at a certified humane, USDA inspected facility. We always have our fresh eggs for sale, as well as our honey and beeswax premium soaps, and often quilted and other hand crafted items and baked goods made with our honey. Our market is open every Sunday from 1:00-5:00 or by appointment on other days. We love to share our farm with visitors. Just give us a call to schedule a farm visit. Visit HERE for more information on the Fox Trot Farm Market. So enjoyed the MIG feature. Hoping my Grand Children ( girls ages 7 and 14 ) and I will be able to visit in early Fall. Will check website for your hours. We are SO fortunate to have you and yours in South Carolina. The farm, the animals, the bees and all of the delightful products you offer are a blessing . Thank you for making our world a nicer place. Hi Brenda! I’m just now seeing your comment…so sorry I missed it! I hope you’ve come for a visit and, if you haven’t, we look forward to seeing you soon! Can you please tell me what your chickens eat? Is their feed GMO free? Our chickens eat a laying ration that provides them will all the nutrients they need to lay beautiful, quality eggs. 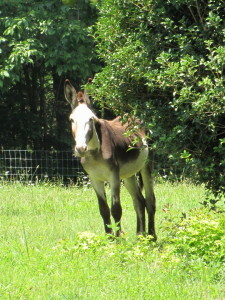 We feed them scratch grains and all the fresh greens and insects they can forage for. Non-GMO feed is very expensive and most of my customers would not want to pay as much for eggs as I would have to ask were I to buy that specialized feed. Gail, I know you are there but you’re impractically far from me to use for feed.